JENLOR Welcomes Newest Help Desk Team Members! JENLOR has added additional resources to our growing Help Desk team. Kyle Wilkinson, Patrick Reitz and Jason Capela have joined the JENLOR team and will be responsible for fielding inbound requests such as Help Desk support, troubleshooting, pre-staging customer equipment and add more coverage overall. We are excited to have Kyle, Patrick, and Jason with us! 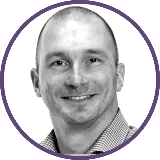 Jason comes to us with a corporate background as an IT Support Specialist with over 10-years of experience. His focus recently has been end user support. Jason brings a good knowledge set and will be able to help immediately with inbound support calls. Patrick has 4-years of hands on IT experience in the Air Force. He is currently working on his Bachelors Degree for Information Technology at Western Governors University. 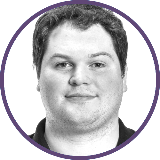 Patrick will bring additional troubleshooting and Help Desk support to our team and customers. 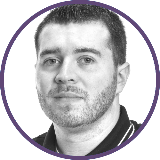 Kyle joins the JENLOR Help Desk team adding 5-years of IT experience managing multiple back-end systems and providing front-end user support. Kyle graduated from Pittsburgh Technical College with a degree in Information Systems Security and Forensics. Kyle will make an immediate impact on support calls with our customers.